Railway Protection Force disclosed RPF SI Admit Card 2018-19. Eligible candidates can utilize the direct link attached here at the bottom of the page to get RPF Sub Inspector Call Letter. Furthermore, you can also reach up to the RPF Official Website i.e. indianrailways.gov.in for complete details. In fact, you can get a clear cut idea about RPF Sub Inspector Selection Process, Exam Pattern by referring to the entire article. In addition, you can also gain knowledge on RPF SI Hall Ticket Release Date, Sub Inspector Exam Date 2018. Scroll down the page to know more about Railway Protection Force Admit Card 2018. Railway Protection Force Team issued RPF Sub Inspector Hall Ticket 2018 for the Exam to be held on 19th December 2018. RPF SI Exam Dates 2018 Announced. Check Link for Detailed info. Hello Readers!! Great News for all of you trying to establish a career in the Police Sector. In recent times, Railway Protection Force issued a notification to fill up 1120 Vacancies for Sub Inspector Posts. A huge number of aspirants have applied for these posts and are anxious about the Railway Protection Force Exam Admit Card Sub Inspector. However, candidates suggested keeping login credentials beforehand in order to download RPF Sub Inspector CBT Admit Card instantly. So far there is no official declaration from the higher authorities regarding Exact Date for conducting the Exam, RPF SI Admit Card Release Date. Stay in touch to avail important information regarding RPF SI 2018 Hall Ticket. Railway Protection Force Sub Inspector Call Letter plays a vital role in the Exam Hall. Its presence is so important that the invigilator will not permit any of the candidates to write the RPF Sub Inspector Exam if they fail to carry RPF Admit Card 2018. Furthermore, cross-check the details enlisted on Railway Protection Force Admit Card 2018 after downloading. Moreover, make sure there are no errors on Railway Protection Force SI 2018 Hall Ticket. If at all, there are any mistakes intimate the superiors for relevant corrections. 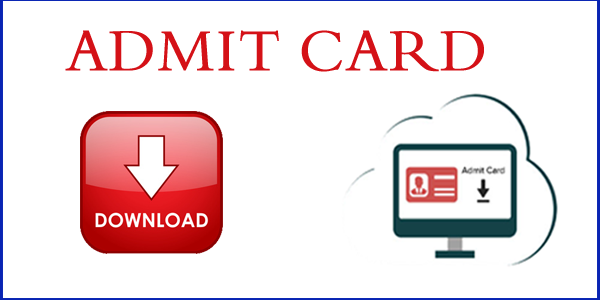 Download the RPF SI Admit Card as fast as possible to avoid last minute rush. Board Name Railway Protection Force/ Railway Special Protection Force. Name of the Post Sub Inspector. Selection Process Computer Based Test, Physical Efficiency Test, Physical Measurement Test, Document Verification. Starting Date to Apply 1st June 2018. Know your RPF SI Roll Number 15th November 2018 onwards. RPF SI 2018-19 CBT Dates 19th December 2018 to 19th January 2019. Job Type Railway Police Jobs. Railway Protection Force SI Test Pattern 2018 prevails here. You can estimate the difficulty level of exam, exam structure, weightage of individual subjects from RPF Sub Inspector Paper Pattern & Syllabus 2018. Moreover, you can start your action plan in such a way that you can crack the RPF Sub Inspector Exam easily. As of now, Railway Protection Team finalized the 2018 RPF Sub Inspector Exam Date Or Schedule. But, they are planning to organize the RPF SI Exam from 19.12.2018 to 19.01.2019. If at all, there are any Changes regarding the RPF Sub Inspector 2018 Exam Date we will inform you with the News. So, have a regular look at our page so that you will be up to date with the latest news. RPSF/ RPF SI CBT Dates – 19th December 2018 to 19th January 2019. How to download Railway Protection Force SI Hall Ticket 2018? Find the desired link to fetch Railway Protection Force SI Hall Ticket 2018 on the home page screen, click on that link. Enter the necessary credentials it asks for like Registration Number, Date of Birth at the time of Login. Cross Check the filled data and press the Submit Button. Thus, you will be led to a new page opening RPF Sub Inspector Call Letter 2018. Finally, take a hard copy of RPF Sub Inspector Admit Card 2018, preserve it safe for further reference. We believe the data prevailing on our page has been helpful to you to an extent. 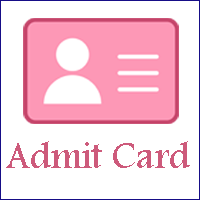 Keep checking our page regularly for the latest updates on RPF SI Admit Card 2018. Also, make sure to visit our portal for Latest Employment News at both State and Central Level. I want to write exam in Delhi. But, I want to work in North Eastern Region. How can I put exam centre in Delhi because there was option only to put nearest station from home. Will there be exam centre option again? I need to know the exam centers for tamilnadu souther railway zone group a candidates. is that apart from tamilnadu or not? Sir..this is my e-mail and phone number..
Plz plz inform me when admit card is released..
What is date of RPF SI test ? Sir, may I know the exact exam date for RPF SI ..humble request from tamilnadu southern region candidates. Sir I have completed my registration on RPF/SI but I have lost the registion number.How will I get the registration number and admit card.please help me as soon as possible. Dare, Sir did not got my holl ticket yet.